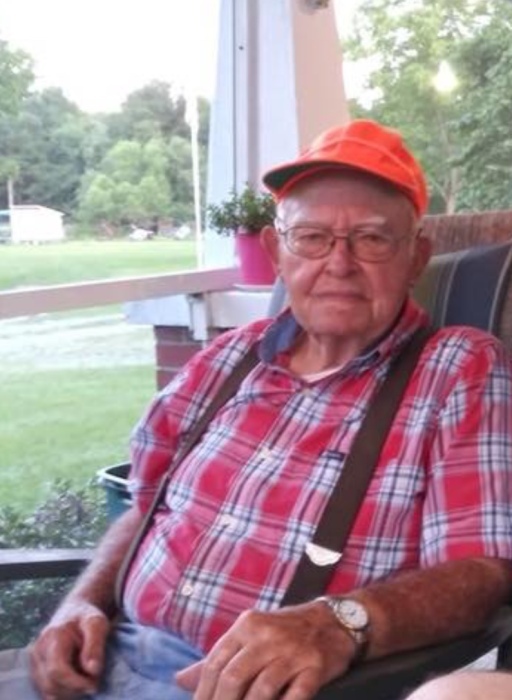 Jay Twilly Hanchey of Wallace left his earthly life on Thursday, January 31, 2019 at the SECU Hospice House of Brunswick in Supply, NC. He was born on December 12, 1930 in Duplin County to the late Carlos Liston and Evie Powell Hanchey. Also predeceasing him are his brother--C.L. Hanchey and nephew--Wade Hanchey. Survivors include his wife of sixty-eight years--Emma Jean Hanchey; children--Robert Carlos Hanchey and his wife Ann of Wallace, Deborah Jean Dickson and husband Raymon of Ocean Isle Beach, and Don Hanchey and wife Angela of Sebring, Florida; nephew--Gerald Hanchey and wife Amy of Wallace; seventeen grandchildren; and twenty-five great grandchildren. Television repair was Mr. Hanchey's life work as he and his wife raised their three children in the North East community of Duplin County. In his early twenties, he enlisted in the National Guard unit in Wallace and was called to active duty during the Korean War where he spent about three years. He was a member of the Island Creek Baptist Church in Rose Hill. A service honoring his life will be conducted at 12:00 p.m. on Monday, February 4, 2019 at the Island Creek Baptist Church by Dr. Ronald Ginn. Family will receive friends at 11:00 a.m. at the church prior to the service. Interment will follow the service at the Little Creek Cemetery.